Linden MacIntyre will read from his fourth novel, Punishment on Wednesday, Jan. 21 at 8 p.m. in the Bailey Auditorium, room 102 of Tilley Hall (UNBF) and on Thursday, Jan. 22 at 7 p.m. in the Ganong Hall Lecture Theatre (UNBSJ). In this new novel, MacIntyre presents a powerful exploration of justice and vengeance, and the peril that ensues when passion replaces reason in a small town shaken by a tragic death. 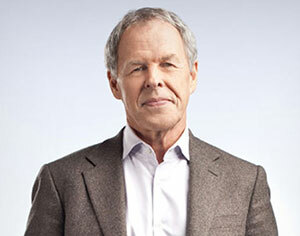 For the past 24 years, Linden MacIntyre has been known to millions as the award-winning host of CBC’s investigative television show, The Fifth Estate. He also produced numerous documentaries in hot spots around the world for the past three decades, receiving nine Gemini Awards for broadcast journalism. His journalism career began as a reporter for The Chronicle-Herald in Halifax, and his investigative writing years later won him a Pulitzer Prize for a series of articles in the New York Times. MacIntyre is also a successful fiction writer and autobiographer. His childhood memoir Causeway (2006) won The Evelyn Richardson Prize and The Edna Staebler Award for Non-Fiction. His fiction includes his bestselling novel The Long Stretch (1999), and The Bishop’s Man (2009), which was the winner of the Scotiabank Giller Prize, the Dartmouth Book Award and the CBA Libris Fiction Book of the Year. It was followed by a best-selling third novel, Why Men Lie (2012). On the Saint John campus, the reading is hosted by the Lorenzo Reading Series and supported by the Canada Council for the Arts. For more information contact Alison Hughes at (506) 654-3753 or email aehughes@unb.ca.